Lakmé is set at the time of the British Raj in India against a backdrop of colonial suppression of religious traditions, it’s a love story with a tragic ending. The high priest Nilakantha and his followers are forced to practice Hinduism in secret following a British decree outlawing its worship. A chance meeting between Lakmé (the daughter of the High Priest) and Gérald, a British officer out sketching whilst on a picnic, leads to Gérald falling madly in love with Lakmé. The High Priest swears vengeance upon the British officer who would dare defile their sacred land. In an attempt to discover the identity of the profaning Brit, Nilakantha orders his daughter to publicly sing the ‘Bell Song’. Gérald is lured by Lakmé’s ethereal tones and is promptly seized and stabbed. However, he is not mortally wounded and escapes with Lakmé, who nurses him back to health. Later, the couple hear singing in the distance, which Lakmé presumes to be a pair of lovers seeking out a magical spring whose waters bestow eternal love. She departs to bring the water to Gérald, but in her absence, an officer called Frédéric has found their hiding place and reminds Gérald of his duty to his country. Upon her return, Gérald refuses to drink the water she has brought him. 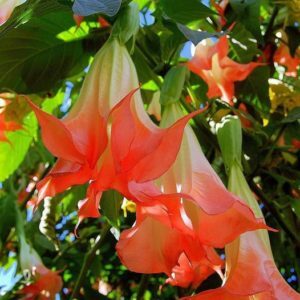 In the knowledge that he has changed, Lakmé eats a leaf from the datura tree and dies. No happy ending here, but it’s a clear, concise and relatively baffle-free plot. Anna Sterrett is stepping out of the role of director and into the role of Lakme for this special performance. Returning to Saltworks as Gerald is tenor, Andrew Ellis (Tebaldo in our February 2018 production of Romeo & Juliet) and Richard Williams (Lorenzo in Romeo & Juliet) is singing Nilakantha. If you were able to attend Lucia di Lammermoor at Hungars in 2014 you will remember warm, lush baritone, Adam Piper who will be joining us as Frederick. Of course, a performance of the Flower Duet would not be complete with Marilyn Kellam as Mallika. Rounding our cast are Suzanne Oberdorfer as Rose, BJ Rogers as Miss Benson, and Caroline Stahl as Ellen. The formidable Natasha Smoot will once again be our pianist extraordinaire!